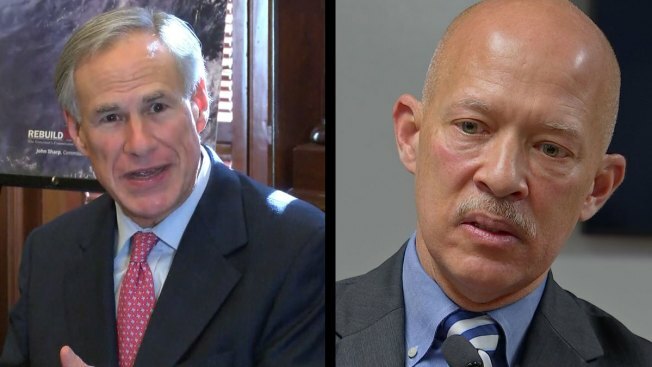 Texas Governor Greg Abbott (R) is sounding off on a new plan from Dallas County District Attorney John Creuzot. Creuzot announced that in an effort to end mass incarceration, he will no longer prosecute a number of cases. Some of those cases could include misdemeanor marijuana possession for first time offenders, and some theft cases under $750. Abbott talked about the plan with political reporter Julie Fine during a wide ranging interview. "It is reckless and irresponsible for a district attorney or any public official to say theft for less than $750 is not going to be prosecuted. That is legalizing stealing for property less than $750. What kind of message does that send for one, but for another, listen if your district attorney wants to change the law he is in the wrong job. He needs to run for the legislature and come here to try and change the law. His job, his oath, is to enforce the law that exists and he should prosecute anybody for stealing anything," said Abbott. We reached out to District Attorney John Creuzot on Tuesday and received a statement saying, "I'm working to fix a broken criminal justice system that allows a woman to remain in jail for more than a month on $150,000 bail for $105 shoplifting charge at taxpayer expense. It doesn't make sense to clog up our jails with people who are not a danger to society. We need to focus on criminals who are a threat to our communities and individuals who commit thefts for economic gain," adding "Furthermore, it was Governor Gregg Abbott who appointed Faith Johnson to serve as District Attorney. When the reforms were made public last Tuesday, Ms. Johnson's First Assistant Mike Snipes agreed with the new reform policies even spoke to multiple media outlets about the positive impact of the changes. He stated in his interview with the Dallas Morning News that, "the changes are significant, and in line with what Johnson and her administration intended to do."